This new book offers an insightful guide into the complex tapestry of global entertainment media markets. It features analyses and case studies from leading international media scholars, who explore the causes and effects of globalization upon this ever-evolving industries. There are still opposing and restraining forces to globalization processes taking place in media, and the global mediascape comprises international, regional and local markets, global and local players, which in recent years have evolved at an uneven pace. By analyzing similarities and differences in a landscape where driving forces of globalization meet locally situated audiences and institutions, this volume unveils a complex, contested space comprising global and local players, whose success is determined by both their national and international dimensions. It guides its readers to the geographical and intellectual exploration of the international media landscape, analyzing the global and local media players and their modus operandi. 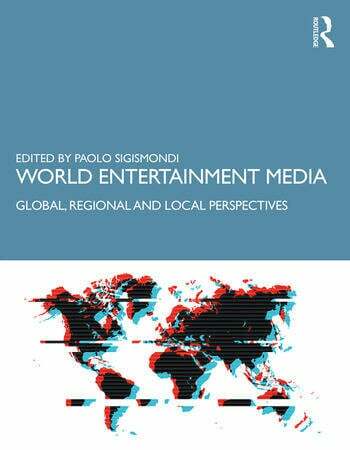 Editor Paolo Sigismondi’s insightful, engaging collection presents a compelling and novel approach to the analysis of global entertainment media. World Entertainment Media: Global, Regional and Local Perspectives is an ideal starting point for students and practitioners alike looking to build a solid understanding of the global mediascape, and a great resource for instructors and scholars in global media entertainment. Paolo Sigismondi, MBA, PhD, is a Clinical Associate Professor at the Annenberg School for Communication and Journalism of the University of Southern California. He has a background as a global media executive, and his research has been presented at international conferences and published in leading journals, including Communication Theory and the International Journal of Communication. He is the author of the book The Digital Glocalization of Entertainment: New Paradigms in the 21st Century Global Mediascape and the translator of its Italian edition La Glocalizzazione Digitale dell’Audiovisivo: Nuovi Paradigmi nel Panorama Mondiale.